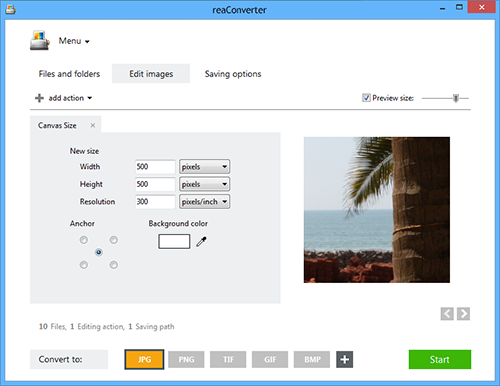 Customizing the canvas size in an image by decreasing or increasing its editable area is now supported not only by advanced editing software programs but also by reaConverter's latest edition. 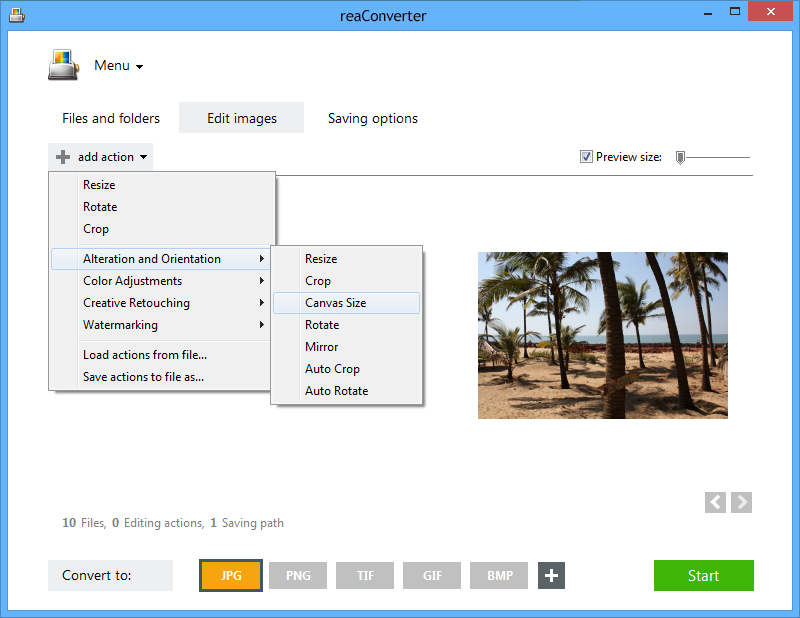 Using this powerful image editing and conversion tool, you can change the canvas size in one or more images by only a few clicks. First, open the image or the group of images you intend to edit. In the new window, define how you want to customize the canvas size of your image. If you increase its size, the image will include some extra free space near the image. You can choose the color of this space using the handy color picker tool directly on the preview image. If you decrease the canvas size, then the image will automatically be cropped according to your desired width and/or height. reaConverter's easy-to-use canvas customizing tool also allows you to define a new resolution for your image and includes a one-click Anchor tool which helps you define the area of the image you intend to operate on. 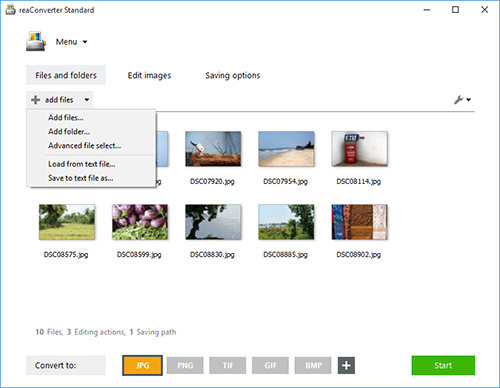 Finally, in the Saving options section, decide where you want to save your new image files and under what format. reaConverter supports an impressive number of image extensions. Pick a new one for your images by simply clicking one of the buttons placed on the lower part of the window. Then press Start and your newly edited or converted images will be ready in just a few moments! mean left-top, center-top, ight-top, center-left, center, center-right, left-bottom, center-bottom, right-bottom. Command-line canvas sizing tool is an advanced feature meant for professional use, and is available in Pro edition only.